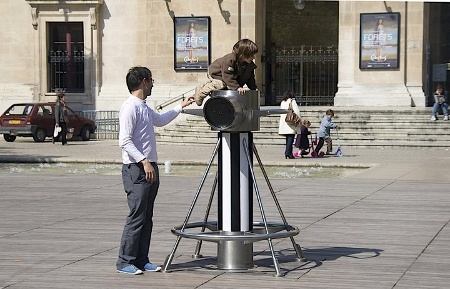 Situated outside the ThÃ©Ã¢tre des CÃ©lestins in Lyon, in a newly renovated square by the name of Place des CÃ©lestins, is an inverted periscope which offers a unique view of what is usually a very mundane facility. CÃ©lestins Parking - Lyon from House42 on Vimeo. 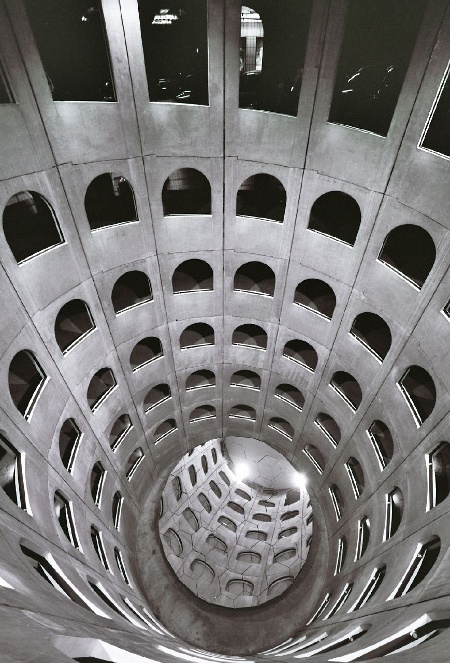 The car park's interior was designed by Wilmotte & Associates, the mirror by Daniel Buren.